Carol A. Snider, 62, 331 Franklin Ave., Sidney, Ohio died at the Pavilion Nursing Home, Sidney, Ohio on Friday, November 11, 2005 at 9:20 PM of lung cancer. She was born April 29, 1943 in Sidney, Ohio the daughter of Dale and Viola (Seigel) McLaughlin and they are deceased. She was married February 27, 1960 to Richard S. Snider and he died June 1, 1995. Surviving are three children, Mrs. Tim (Alice) Cole of Sidney, Ohio; Mrs. Jose (Gail) Sanchez of Indianapolis, Indiana; and Bruce Snider and his wife Teresa of Sidney; nine grandchildren, Cameron Davis, Brooke Myers, Danielle Myers, Ryan Myers, Brandon Cole, Andrienne Cole, Samantha Snider, Sara Snider and Ali Sanchez and one great grandchild, Baileigh Rowan; one sister, Doris Stanczwick and husband Stan of Ft. Lauderdale, Florida; and three brothers, Kenny McClaughlin and wife Lil of Ft. Lauderdale, Florida; Jerry McClaughlin of Sidney; and Larry McClaughlin and wife Sue of Sidney. 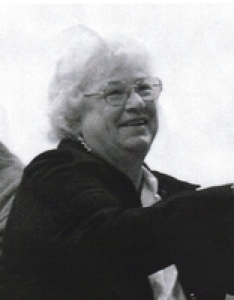 She was a member of the Sidney Amvets Auxiliary and the Sidney VFW Auxiliary. She was of the Catholic faith. She was the Vice-President of Clean-All, Sidney. Graveside services will be held on Wednesday, November 16, 2005 at 11:00 AM at Shelby Memory Gardens, Sidney with Rev. James Reutter officiating. Friends may call on Tuesday, November 15, 2005 from 4-8 PM at Salm-McGill and Tangeman Funeral Home. Memorial contributions may be made to the American Cancer Society, 1130 Vester Ave. - Suite G, Springfield, Ohio 45503. Envelopes will also be available at the funeral home.